I love creating polishes for holidays (rather than a season). 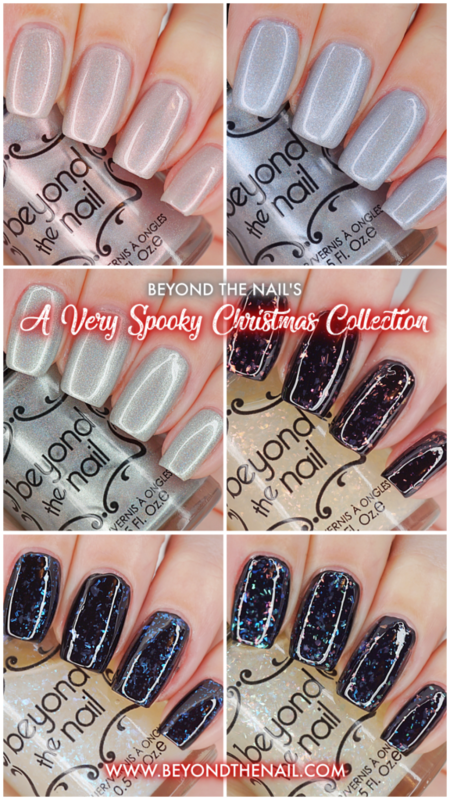 This year for the Christmas holiday, we at Beyond the Nail have come out with the A Very Spooky Christmas Collection! We have three silver holographic polishes that have a different shimmer, and 3 flakie topcoats. 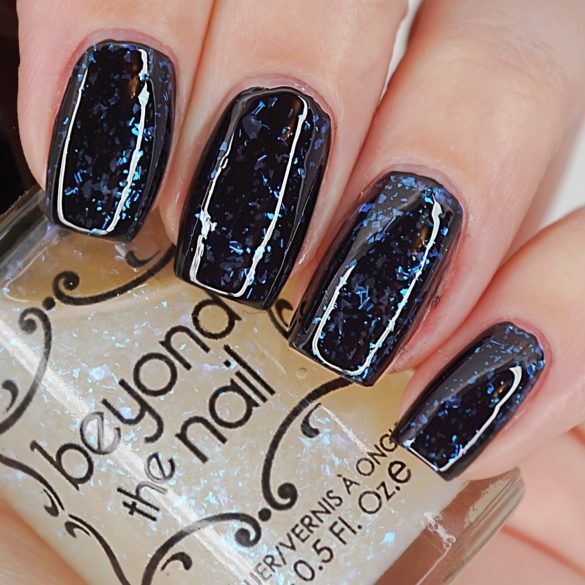 They have such spooky meaning behind them all. In addition to these, we also put out another nail polish to celebrate the New Year! 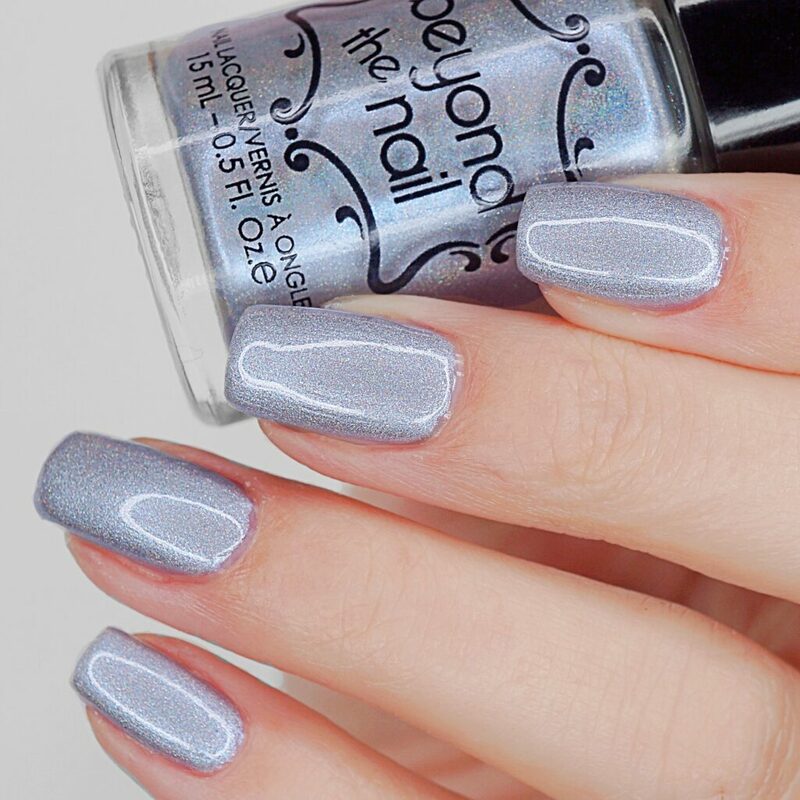 This silvery holographic polish has a ghostly red shimmer that will remind you of your favourite holiday memories. 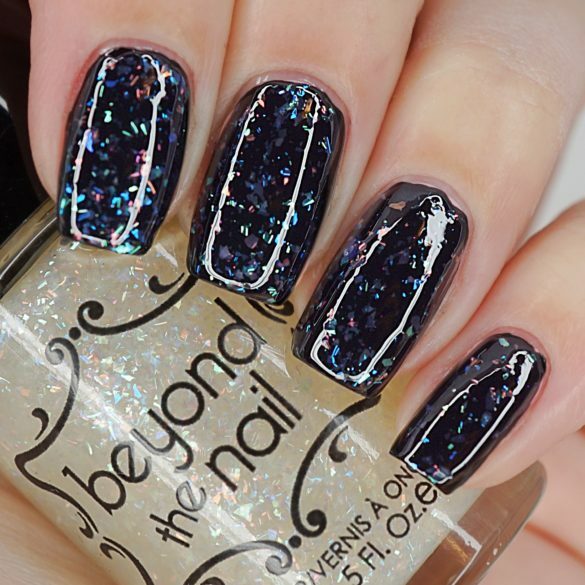 Swatched above in 2 coats and 1 coat of topcoat. 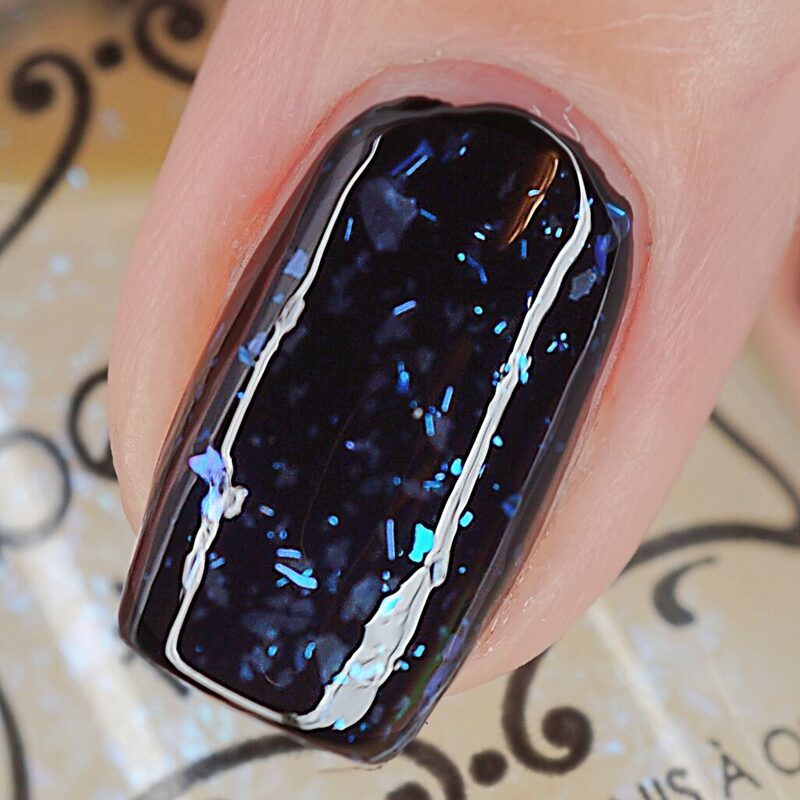 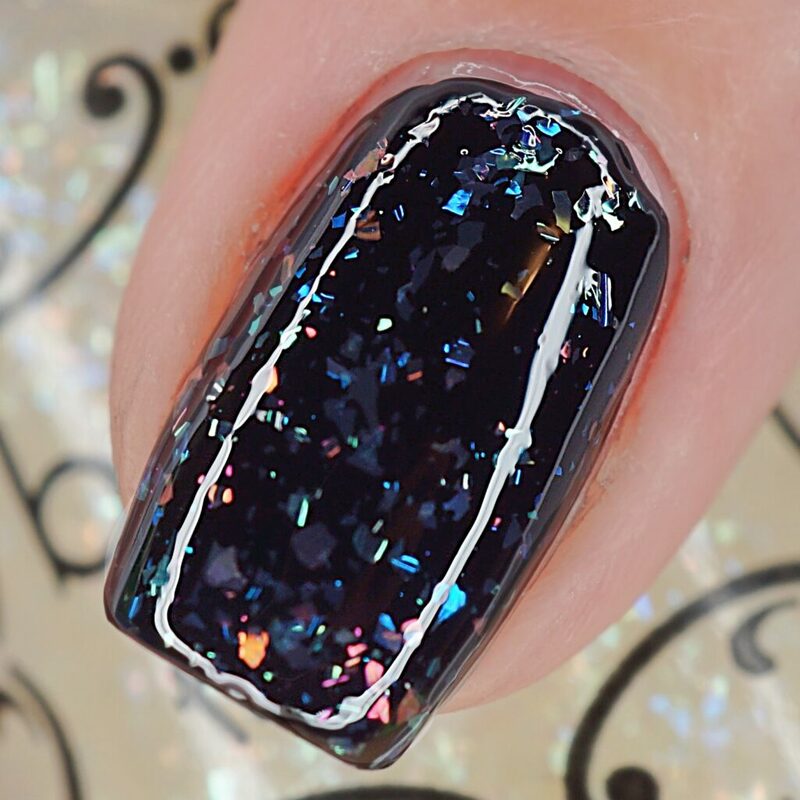 This silvery holographic polish has a ghostly blue shimmer that will remind you how thankful you are this holiday season. 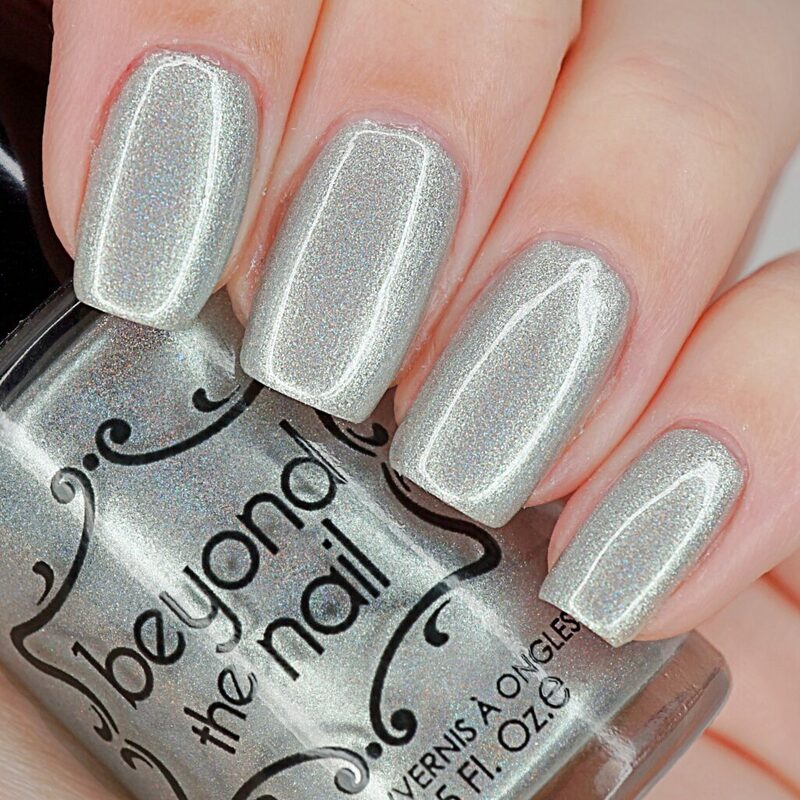 This silvery holographic polish has a ghostly green shimmer that will leave you dreaming of delightful holiday seasons to come. This glimmering and fiery topcoat is packed with flakies that shimmer red. 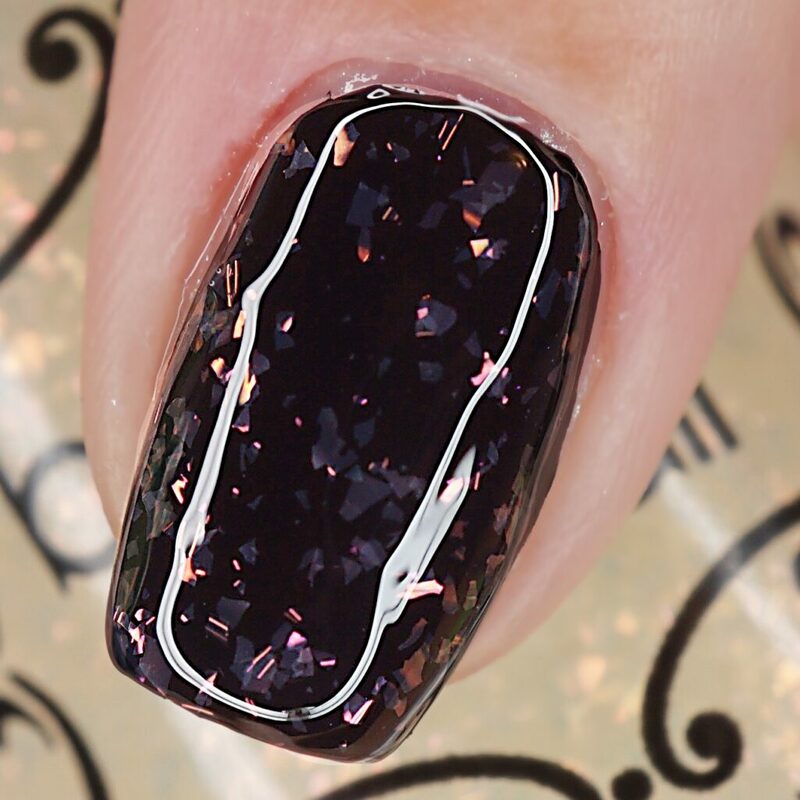 Inspired by the elegantly dressed Lady in Red spirit often seen on the 14th floor of the Hotel Vancouver in Vancouver, BC. Swatched above with 1 coat over 1 coat of Beyond the Nail – Deep Black and finished off with 1 coat of topcoat. This shimmering topcoat is packed with flakies that shimmer blue, reminiscent of icicles shining in the morning sun. Inspired by the Blue Lady, the spirit of a young woman who haunts Hilton Head, South Carolina. She was the daughter of the lighthouse keeper, and tragically ended her life after finding her father dead in the lighthouse after a raging storm. 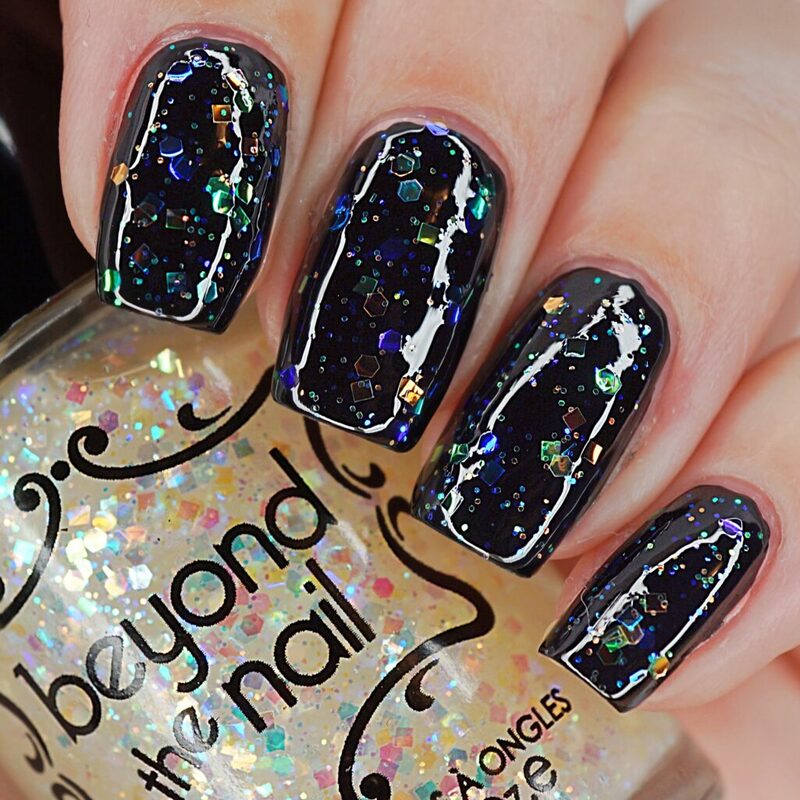 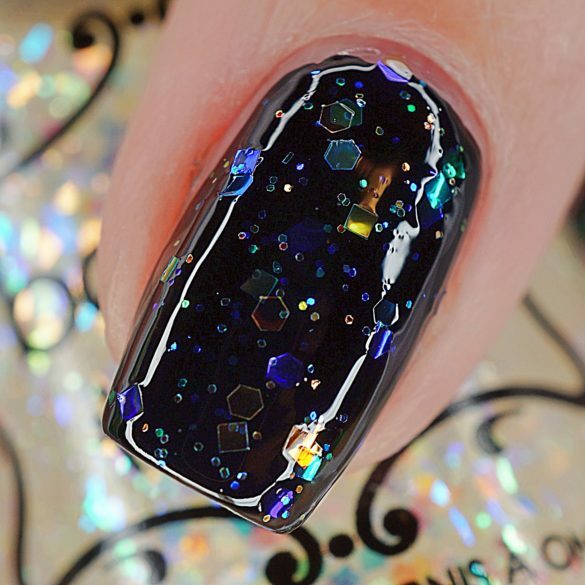 This wild and spooky topcoat is packed with flakies that shimmer the colours of the rainbow. 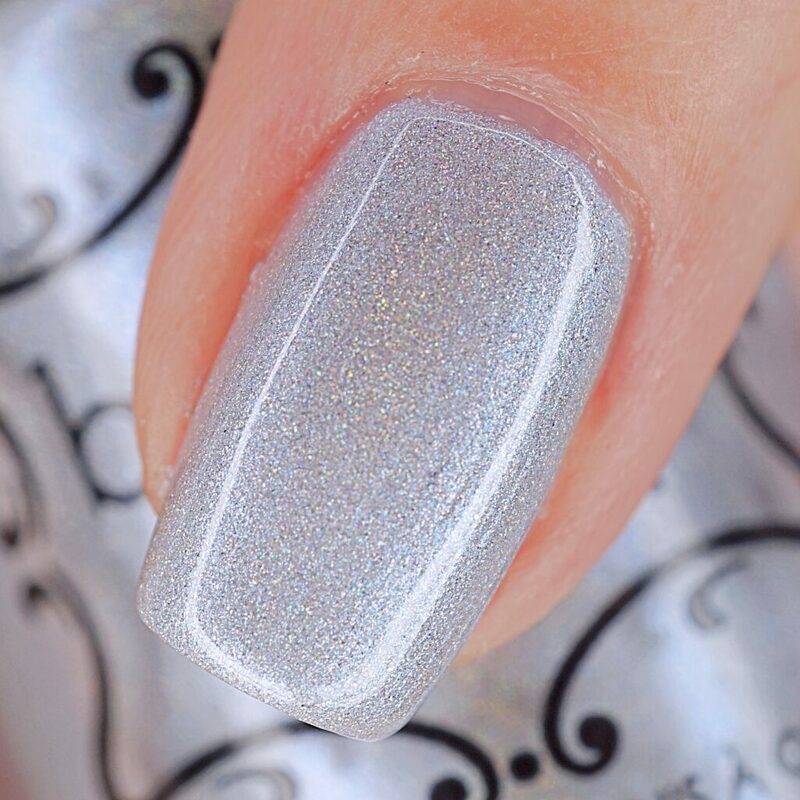 Inspired by the white lady ghost of Montmorency Falls, QC, the spirit of a young woman who tragically ended her life after her fiance was killed in battle. 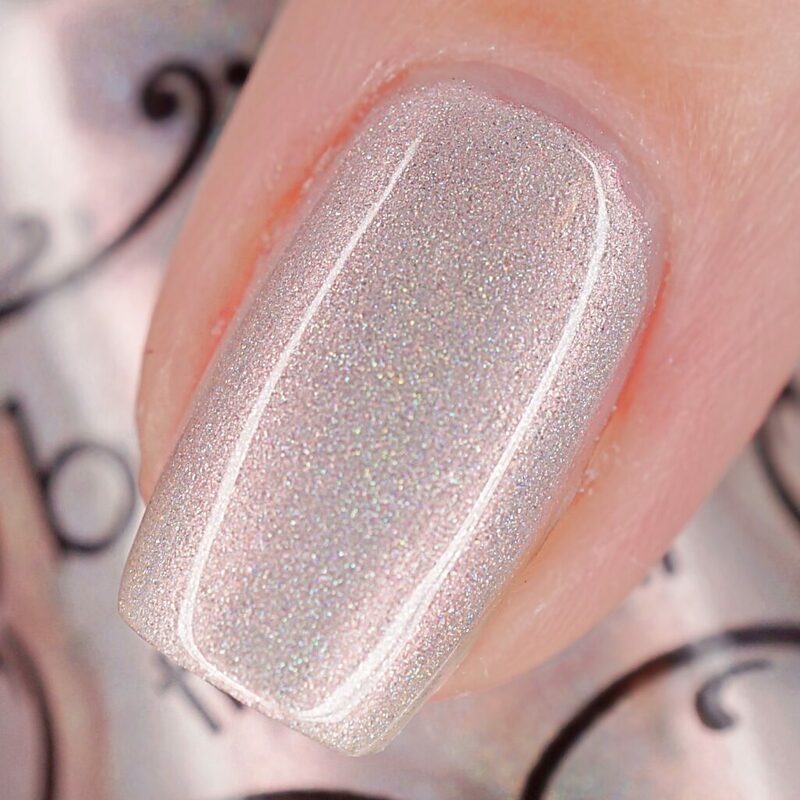 She died wearing her beautiful wedding dress. 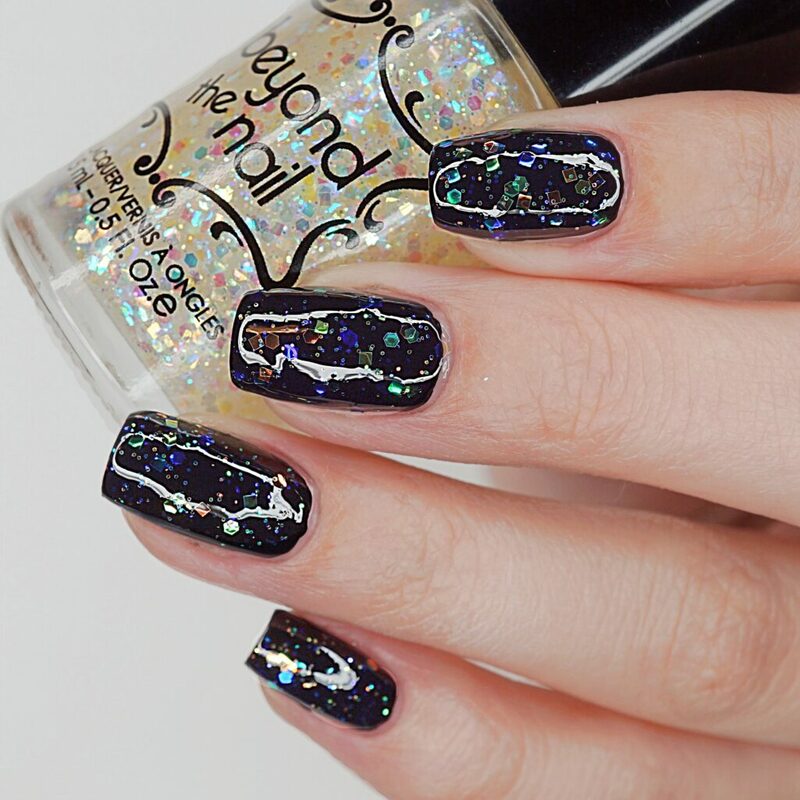 This fun and flirty top coat is packed with shimmery, iridescent glitter of many sizes and many colours. 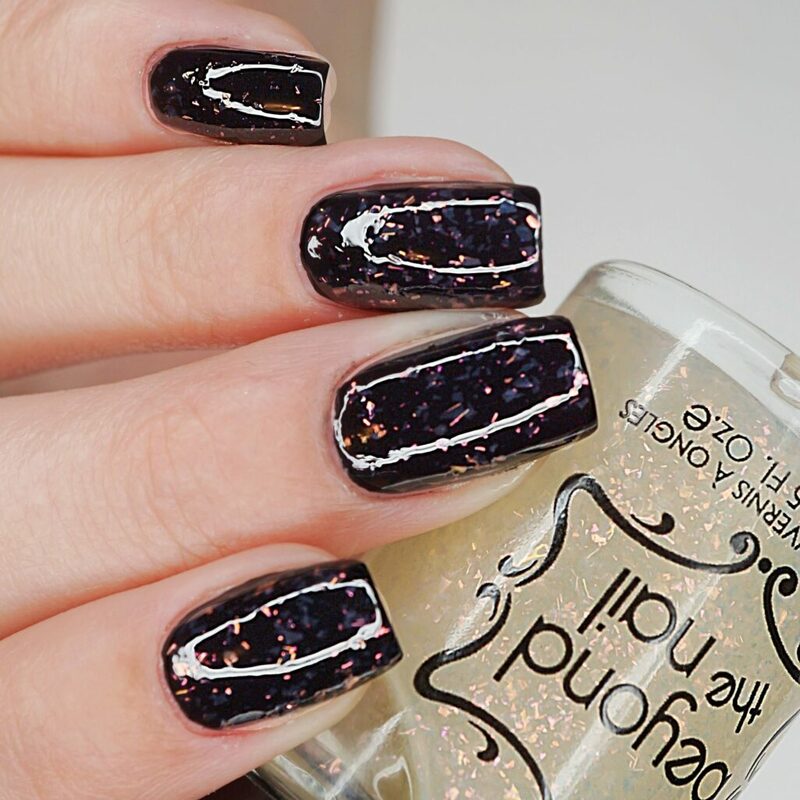 With this topcoat gracing your favourite base colour, you will be the belle of the ball on New Years Eve as the countdown begins. 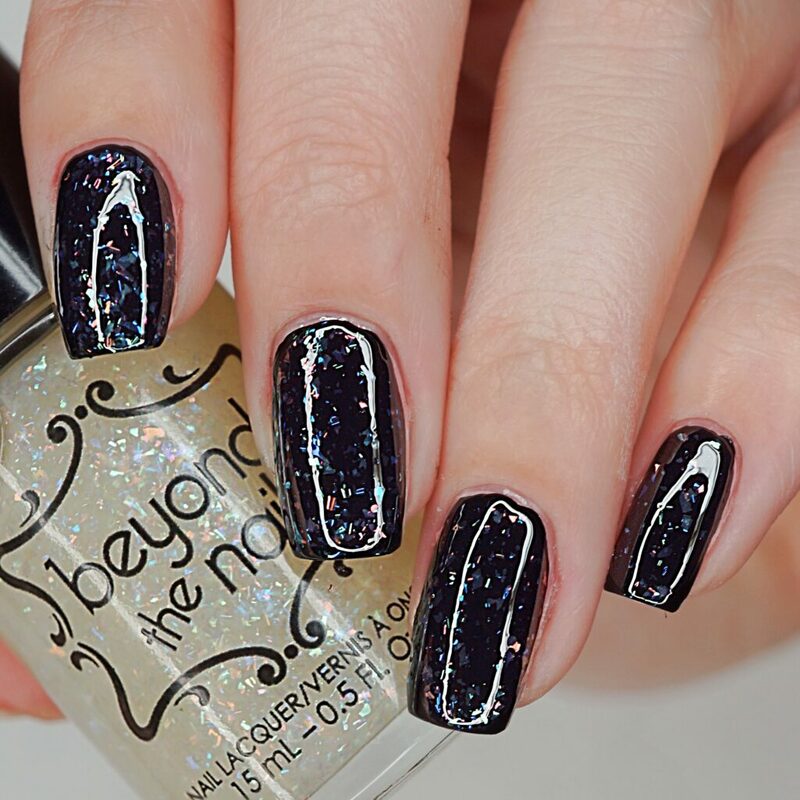 The A Very Spooky Christmas Collection is amazing to wear during the holidays, and even throughout the year (especially those flakie topcoats)! 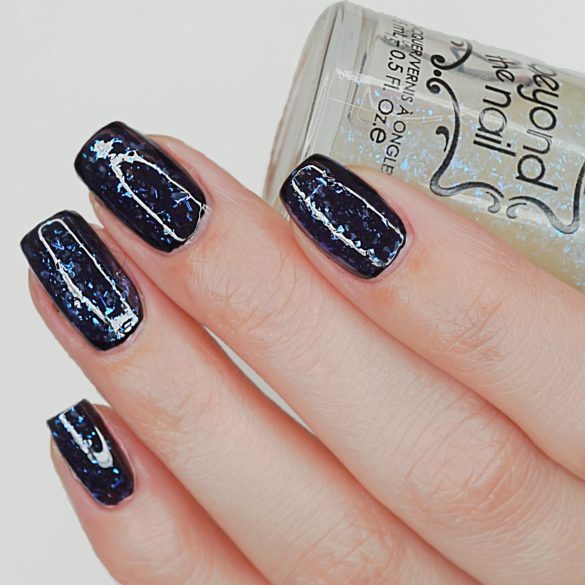 The holo shimmer polishes are $12 CDN, and the flakie topcoats are $11 CDN. 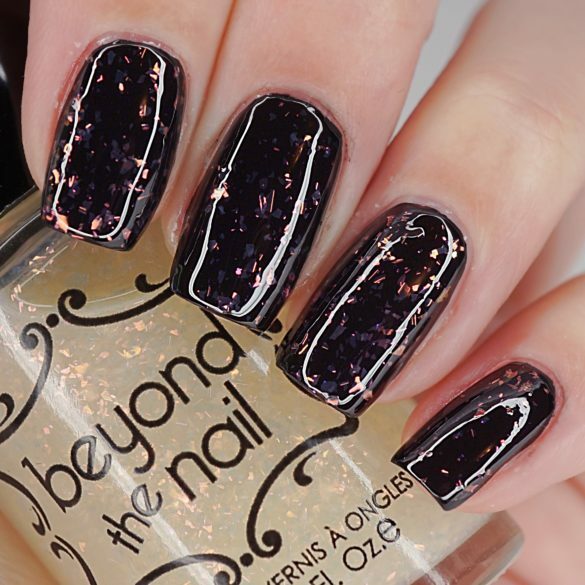 Our addition of 3, 2, 1 is $10 CDN, BUT if you purchase all 6 other polishes, this one is FREE.